I have no ambitions to quilt…. I had so many wonderful responses to my post yesterday about the crafty women in my family. My mom called after reading my post. We had a long talk about Nanny and quilting. The quilting frame pictured below (with me hanging on it) was built by my grandfather, “Papa”. 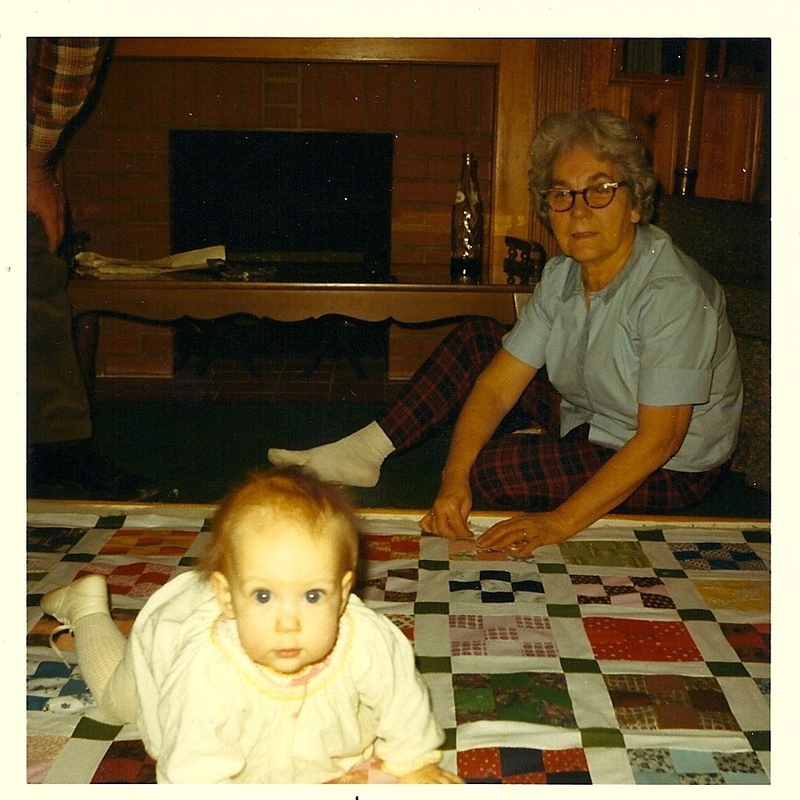 (8/8/12 correction from mom – the picture below shows me on a manufactured quilt frame, not the one made by Papa.) Nanny passed away in the late 1990s, but my mom still has the handmade quilting frame in her basement. 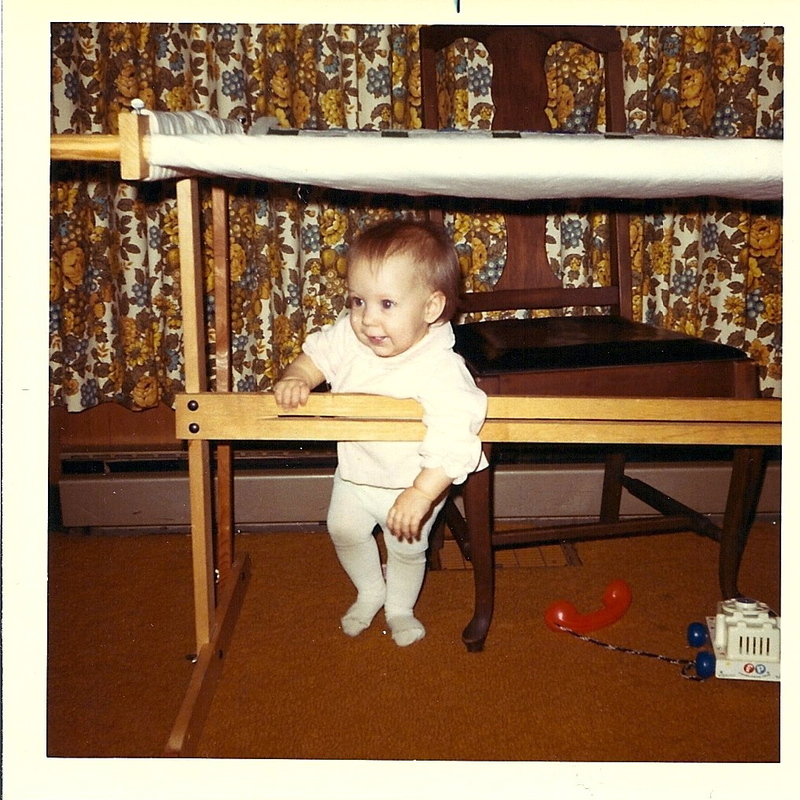 Me at 11 months, hanging on Nanny’s quilting frame. Don’t you love the curtains in the background? Maybe I’m calling the future on my FP phone to say these curtains will go out of style… but save them! Eventually they will become vintage and cool. Despite my heritage, I have absolutely no desire to quilt. I’m not really sure why! Something else to think about over the next few days as I put together more posts about why I am so crafty…..
My favorite pair of jeans: mended!